If you’re missing a tooth, it affects the way you speak and chew your food. At Richard Hardt, D.D.S. in Porterville, California, Dr. Richard Hardt, DDS, and Dr. Lawryn Monterroso, DDS, provide dental bridge services to replace a missing tooth and restore your ability to chew food and speak clearly. Custom-made bridges are often an effective alternative to dental implants and offer long-lasting results. To learn more, call the office or use online booking to schedule a consultation today. A dental bridge is a restorative device that replaces one or more missing teeth, so named because it bridges the gap left by a missing tooth. Dr. Hardt and Dr. Monterroso customize your bridge and may use any of a number of materials to create it, including gold and porcelain. Dr. Hardt and Dr. Monterroso either attach the bridge to your natural teeth surrounding the missing one using a dental cement or provide you with a removable bridge. If you are receiving dental implants and the surrounding teeth don’t offer enough support, Dr. Hardt or Dr. Monterroso may use a dental bridge, attaching the artificial tooth directly to your gum tissue or jaw. What’s the difference between a fixed and removable bridge? A fixed bridge is a great option if you have missing teeth but the remaining bone is still supportive and healthy. Dr. Hardt and Dr. Monterroso create a fixed bridge by scraping a small amount of enamel from the surrounding teeth and cementing an artificial tooth in the space between. A removable bridge is another option for replacing one or more missing teeth. This type of bridge has artificial teeth attached to a plastic base that fits into your mouth. Metal frames help keep the teeth together and connect the device to your natural teeth. While removable bridges can be taken out for eating and cleaning, a fixed bridge remains in place and is cared for like your natural teeth. Is a dental bridge procedure painful? During the placement of your fixed bridge, Dr. Hardt and Dr. Monterroso can administer a local anesthesia to keep you comfortable during your tooth preparation and the attachment of your bridge. The bridge is customized to fit your mouth comfortably, but it may take several days for you to get used to having the bridge in your mouth. Over time, the bridge becomes less noticeable and you begin to feel more comfortable when speaking and chewing food. 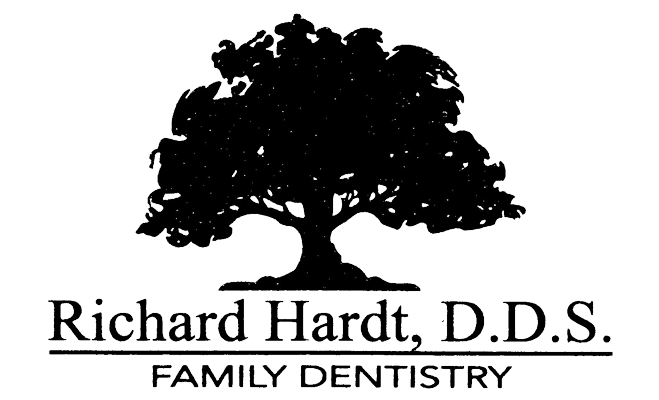 To find out which type of dental bridge is right for you, call Richard Hardt, D.D.S. in Porterville, California, or use online booking to schedule a consultation today.